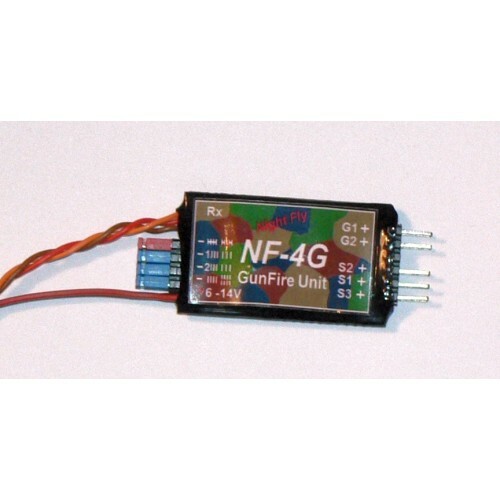 NF-G2 controller is designed to simulate gunfire for warbird models of general size. Controller has two shooting outputs G1 and G2. Outputs produce current pulses 30 ms with cadence 8 or 10 shots per second. The pulses can power white ultra-bright power 5mm LEDs 80 mA to produce light flashes simulating shots. Also they can power speaker to simulate noise of gunfire. 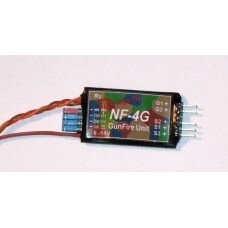 Description: NF-G2 controller is designed to simulate gunfire for warbird models of general size. Controller has two shooting outputs G1 and G2 (Gun1 and Gun2). Outputs produce current pulses 30 ms with cadence 8 or 10 shots per second. The pulses can power white ultra-bright power 5mm LEDs 80mA to produce light flashes simulating shots. Also they can power speaker to simulate noise of gunfire. 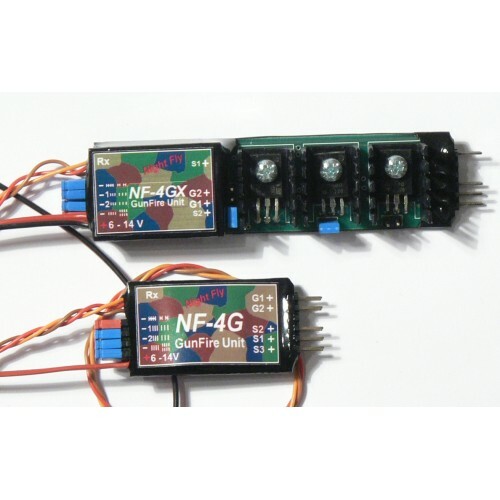 The NF-G2 is controlled by one channel in three position mode OFF / GUN1 / GUN2. By red jumper you can modify the functionallity so that BOTH guns are on in third position. All outputs work as current stabilizators. 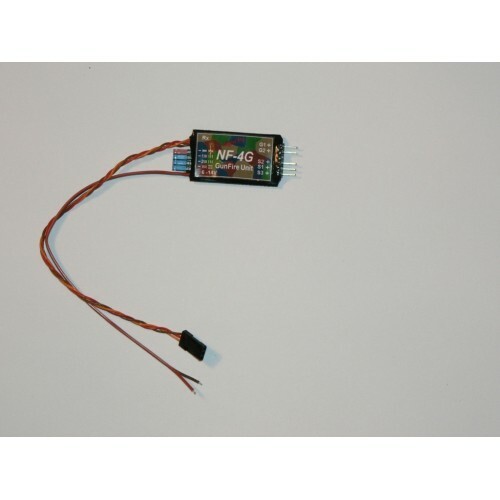 So LEDs can be connected directly to the outputs. You can select the output current for each of outputs G1,G2 or S2 by jumpers. Jumpers are placed nearby heaters.